Hope you all had great weekend. Pretty excited weekend here in UK as it was Wimbledon final and Andy Murray won. After 77 years, it is a great win and definitely most awaited one. 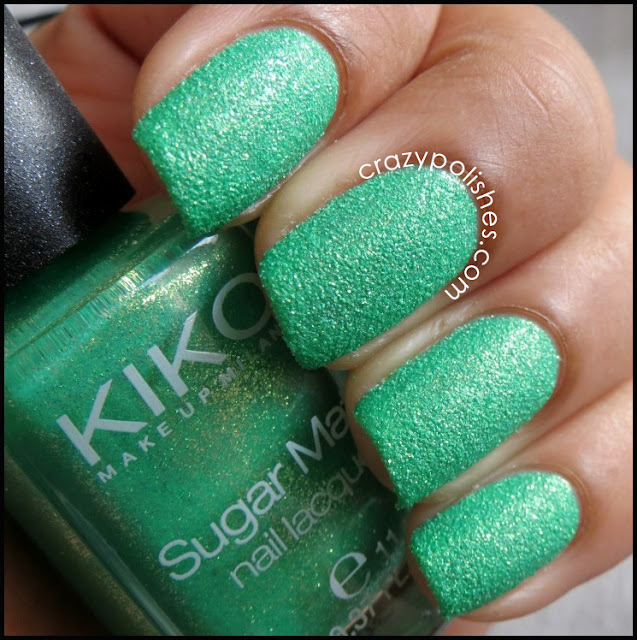 Today i have Kiko Sugar Mat 643 Spring Green. Amazing is the word for this polish. This one is a beautiful green shade with gold shimmer. I couldn't capture the gold shimmer on my nails correctly but that exactly looks like as you can see in the bottle. Formula wise it was good way better than barry m texture and quite similar to opi textures from mariah carey collection. Shade is slightly brighter than what it looks in the picture exactly a parrot green color you can say. 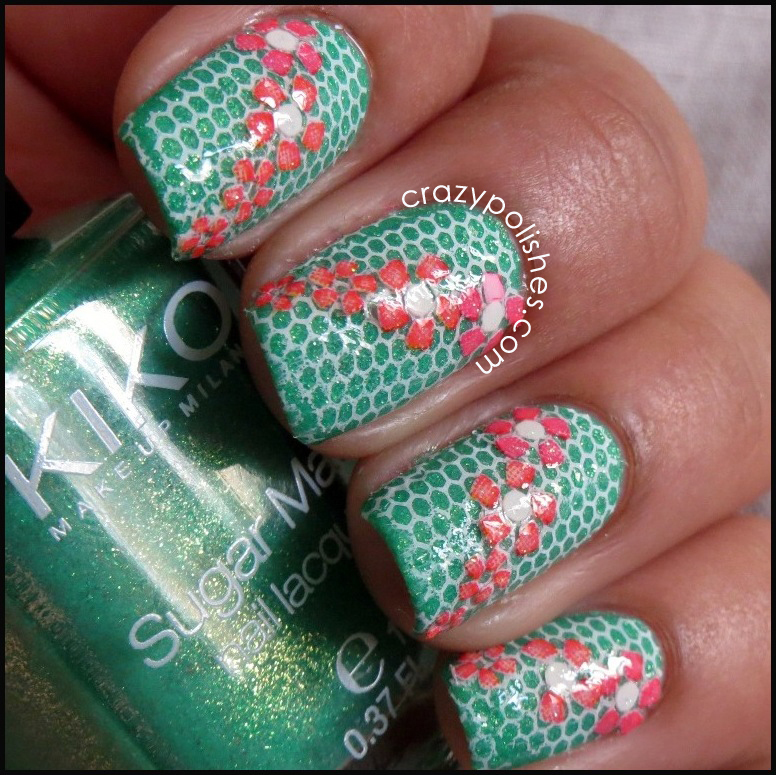 2 coats of Kiko Spring Green and no top coat. 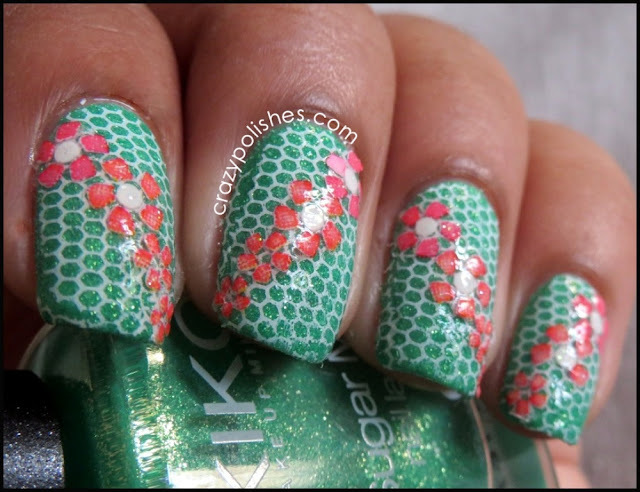 I recently got my cheeky 2013 jumbo plates set and it has so many designs I wanted like this honeycomb one. I added some flower sticker to give it more springy look. Stamping Plate: Cheeky 2013 Jumbo Plate 5- "Musical Nails"
You can buy these stickers from HERE. These comes in a variety of colors and designs. You can also get a discount of 10% when using code "CPL91" at checkout. 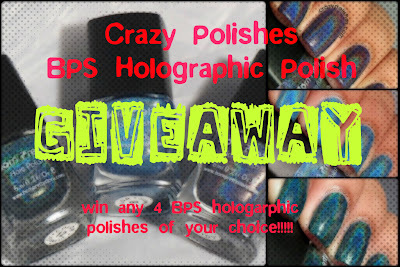 Please enter in current giveaway on blog where you can win any 4 Born Pretty Holo Polishes(reviewed here) of your choice.